These exceptional New England style homes are planned and designed making lakeside living very special with only 14 plots remaining on this exclusive development. Summer Lake is an exceptionally managed and maintained lakeside development with landscaping, 24 hr security and housekeeping (by arrangement) enabling you to switch off and relax to create a perfect lock up and leave “holiday” home. Summer Lake is beautifully quiet and tranquil. Within easy reach of the M4 & M5 motorways this makes the perfect destination for a family holiday without the hassle of a long journey. 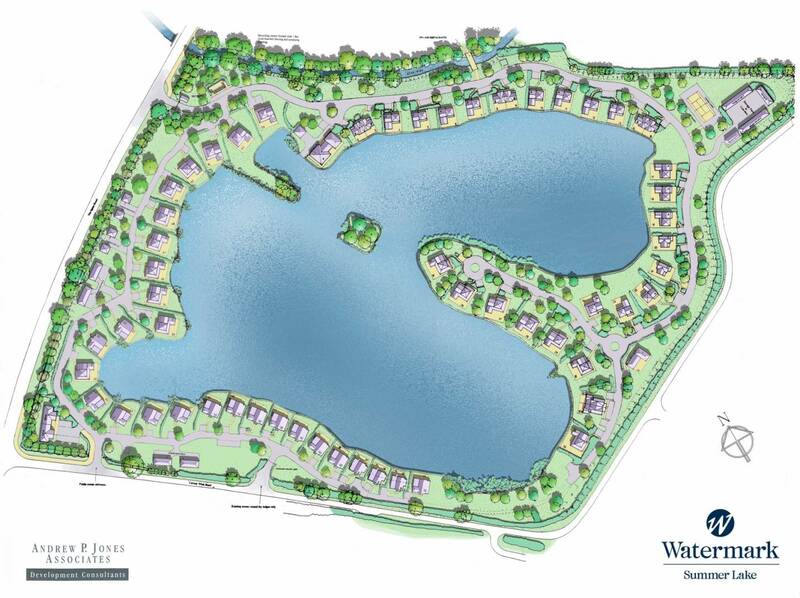 Situated within the Cotswold Water Park, a series of 125 lakes over an area of 40 square miles and within walking distance of the award winning Cotswold village of South Cerney. This truly is an idyllic setting and the perfect place to purchase one of our holiday homes for sale. The Deck House is a new design created to make the most of the Cotswold’s stunning scenery. With a rooftop terrace, owners enjoy panoramic views of the lakes and countryside in this 3/4 bedroom property all with en-suites. The 2025 sq ft property with vaulted ceilings includes an open plan living room, dining area and designer kitchen leading to a 252 sq ft roof terrace. On the ground floor, bedrooms one and two have large decks leading on to the lake. Each room enjoying maximum daylight. With an almost entirely glass frontage, the Deck House has a very spacious, airy feel, and with terraces at both the waterside and the large roof terrace you can enjoy the sun from breakfast time till evening drinks. Created by the Watermark design team, the Deck House offers the perfect weekend retreat to share with friends and family. The house is finished in Cape Cod pale grey timber cladding with double glazed french doors to bedrooms 1 & 2 and bi-fold doors to the living room and kitchen, keeping the lodge cool in the summer and cosy in the winter. The Deck House is certainly a high specification with a designer kitchen and sanitary ware and tiling from Porcelenosa. A truly bespoke holiday home, choose your plot and individually design your detached lodge with its own rooftop terrace overlooking the beautiful Summer Lake. There are options to upgrade to have a hot tub on your first floor and your own private jetty directly onto the water. An impressive five bedroom detached New England style lakeside property with an extensive open plan living area with vaulted ceiling and ground floor guest en-suite bedroom. Enjoy the generous deck area right on the water’s edge. Finish the home to your own taste and specification. Add a touch of luxury to this stunning holiday home and relax in peaceful spacious grounds with private security gate and a full time management team. Your very own private pontoon/ jetty can be supplied as an optional extra. *Available on a 999 year leasehold tenure as a holiday home. Prices and availability are subject to change, please contact us for the latest price list and information.